It’s hard to believe that it was only four years ago that I first met Barry. I had gone to Central Park to see him open for Dionne Warwick. There he was relating to 8,000 people, most of whom did not know who he was, with incredible verve, enthusiasm and musicality. He was thoroughly professional yet refreshingly innocent. In one sense he dared the audience not to succumb, and yet he did so with that genuine Manilow air of absolutely incredulous wonder that the crowd was already loudly claiming him as their own personal discovery. That sense of pure boyish bewilderment that his talent is loved, cherished and respected is still with him today despite the fact that his fans are legion, now numbering in the millions. 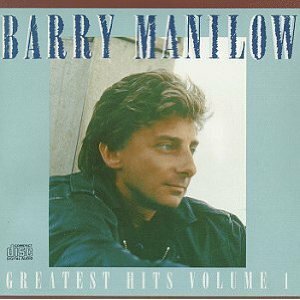 Today, Barry Manilow is peerless in the world of popular music. His interpretive performances rank him at the top. He’s the unquestioned best arranger of songs in America today. Further, he brilliantly co-produces his own records and, even more, he has written many of his own giant hits. For those who love a great song, a great melody, a great rhythm, Barry Manilow is synonymous with music itself. More important than his now historic sales achievements is his uncanny ability to reach the average person in a way to meaningfully affect that person’s life. That is artistry. And yet, with all the popular acclaim surrounding him, Barry has never lost perspective on the important values of life. His sense of loyalty, responsibility and caring for others has only increased with time. So, let me dedicate this album to him as a wonderful artist, composer and friend. Success could not have found a more deserving person. (3) ARCD 8039 DIDX 162 (Made in Japan) (total time = 69:06) has Original version of “Copa…” [4:00], Live version of “Daybreak” [3:49] and a slightly shorter album version of “It’s A Miracle” [3:44].